Your child's teacher, your niece's soccer coach, your local librarian - so many members of the community are doing great work every day to build a strong community where children are protected and loved. When you #PassThePinwheel, you are saying, "You're doing great work! Keep it up!" Take a pinwheel and present it to an individual, business, or organization who is working to build a strong community where children will grow up protected and loved. Can't physically #PassThePinwheel? We've crafted some easy Copy & Paste social media posts for you to use when passing the pinwheel online. 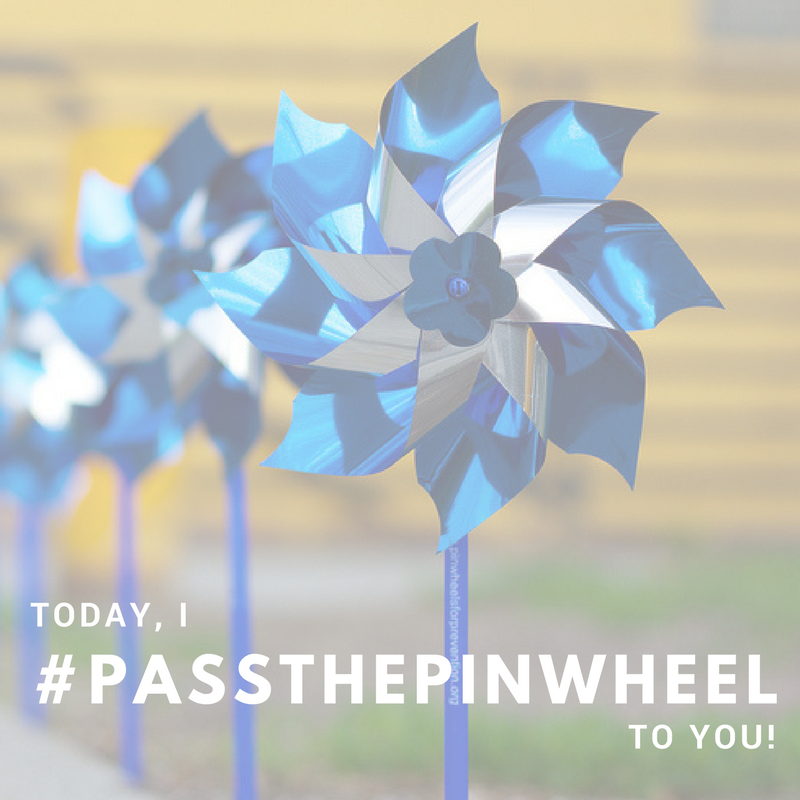 Don't forget to encourage people to #PassThePinwheel on to others! There's no greater gift than knowing that a child is being cared for and supported. Honor someone who played that role in your life by making a donation to PCAT. You'll have the option to send them a beautiful e-card letting them know of the gift.